Though many point to 1939 as "The Greatest Year in the History of Hollywood," I always remind people to celebrate 1946 as well. For a film noir fan like myself, the quality is virtually unparalleled--Gilda, The Postman Always Rings Twice, The Big Sleep, The Blue Dahlia, The Killers, and Notorious are just some of the iconic movies that premiered that year. 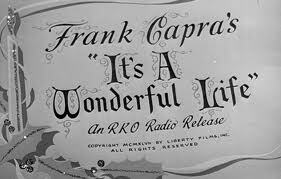 It's a Wonderful Life is yet another, and even if not originally as popular as it is today, Frank Capra did win himself a Best Director Oscar for it at the Academy Awards. Of course it's since become a giant in film history--a perennial favorite for the holidays that I have shared again and again on GlamAmor. RKO costume designer Edward Stevenson is one of the many unsung heroes of the film. Known for loving the 'liquid look' of the 1930s--where beading was used on bias cut gowns to make them look their slinkiest and sexiest--he shows the true range of his talent through these more conservative clothes for Bedford Falls. Each piece reveals something about its remarkable residents and tells their story; you'll see styles evolve as the characters age and change. Who can forget George's football uniform and Mary's robe as they make their way home after the high school dance? 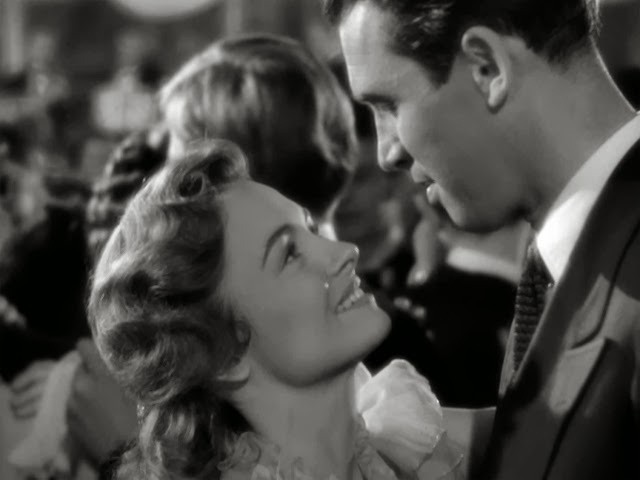 It is these moments toward the middle of the movie that I perhaps adore the most...when George and Mary (Jimmy Stewart and Donna Reed) begin falling in love. First when their eyes meet at the local dance and all the way through the evening when we're with them walking home...still somewhat soaked from falling into the school's pool. Their scenes together are all so rich with emotion that I felt compelled to include multiple clips (below). Of course the characters from this film serve to remind us of several important lessons. In George's journey, he discovers that everyone's life has meaning and the greatest gift is being loved. And it is Mary's love for him that inspires us to reach for the moon. As she finds, by believing, we can all make our dreams come true. I agree, 1946 was another great year in film. 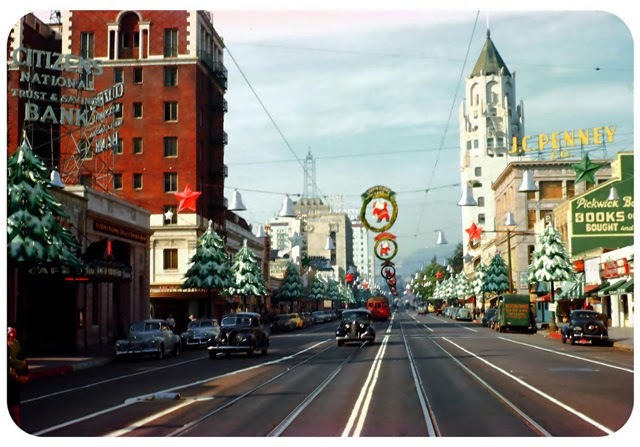 Great image of "Santa Clause Lane" from 1946. Love seeing Pickwick books in its prime! Thanks Robby--great to hear from you! If you love that shot, explore GlamAmor a little further. I just covered the evolution of Santa Claus Lane from the 1920s to 1930s. Think you'll like it all. 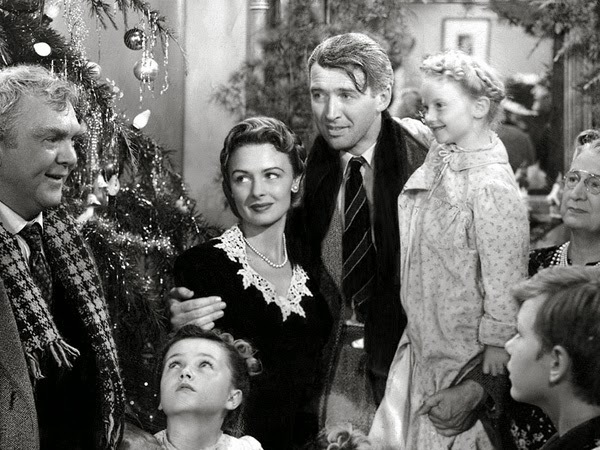 Happy holidays to you all at Dear Old Hollywood! I never thought about it before, but you're right – 1946 really was a stellar year for films. When I saw this movie on the big screen a couple of years ago, I was surprised that so many people in the audience were weeping (me included) during the final scene. It really is a testament to all the actors in this film, especially Jimmy Stewart. He needed to carry the whole film and he does so effortlessly. I'm also surprised at the number of people who still have not seen this film, so I was glad to see your post. Thanks Silver Screenings! Yes, 1946 is an incredible year in film--it will definitely be an upcoming article of its own on GlamAmor, especially because I adore film noir so much and several of those movies are among THE STYLE ESSENTIALS here as well. 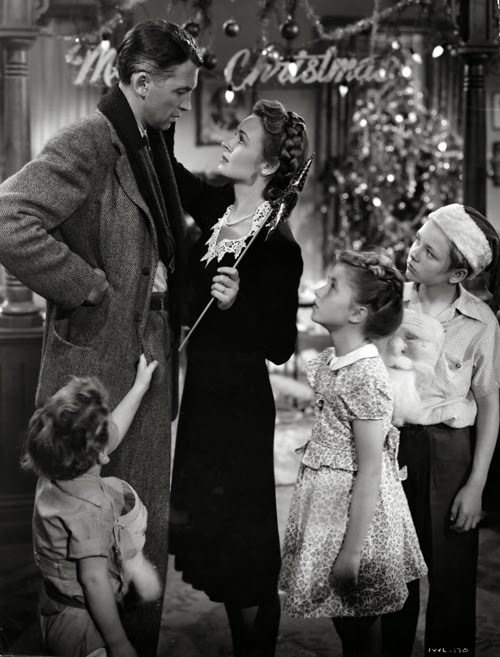 I cry every single time I see IT'S A WONDERFUL LIFE, starting when the pharmacist boxes the poor young George Bailey's ears. sigh Oh my god, I could tear up just thinking about it. And Jimmy Stewart does angst sooooo well, whether it's from love or life. Just an incredible actor. I'm always surprised to find folks who haven't seen this film, too, so I thought this was a good way to appeal to newbies as well as those of us who watch year after year.